By the time a family has grown and the children have moved , there should be at least one portrait of each person in the family. Your child is very important to your family and the more often they get that message, the more it registers. For years, many young families have followed a wonderful tradition of having an “Oil Painting” style wall portrait of each child at 3-5 years old, before they start Kindergarten. The first child in the family starts the process with their wall portrait, and each child that follows has their turn to be added to the “Wall of Honor”. 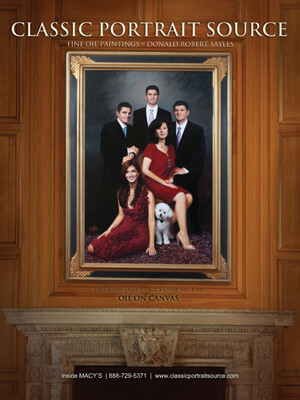 Portraits by Sayles, with studios in Chicago, and Troy, has been providing families with the finest quality of commissioned oil paintings and fine photographic portraits since 1945. Besides the positive effect on the child’s self esteem, the parents have a wonderful piece of artwork that captures each child at the “ Golden Age of Childhood”.